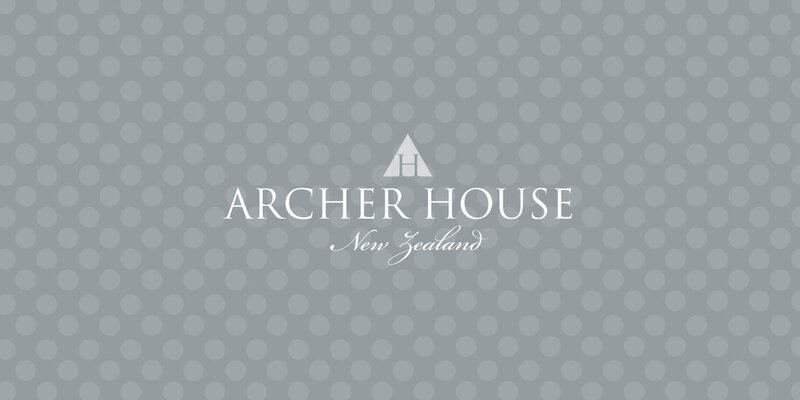 A simple, yet strong branding was created for Archer House Collections, a New Zealand range of fashion accessories for women. 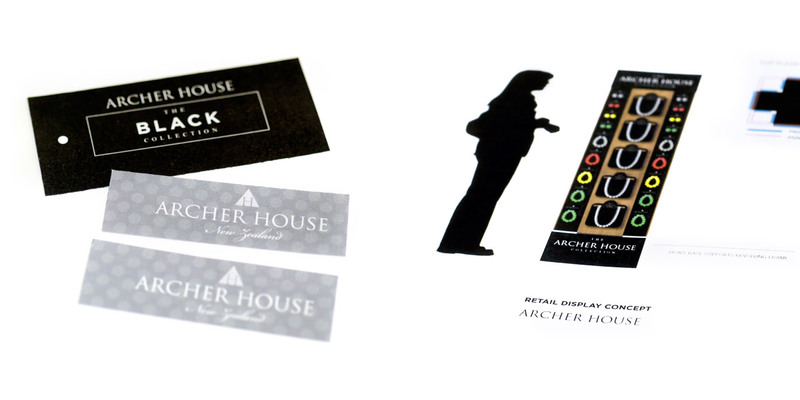 With a large, ever changing range of fashion accessories, the branding needed to reflect style and quality, and be simple enough to work with a variety of different product styles, colours and patterns. 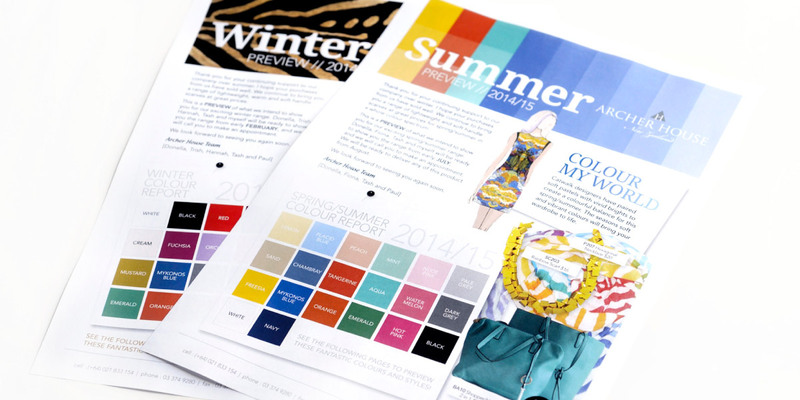 The branding is carried through to swing labels and retail product display stands, as well as flyers that provide a preview of new product ranges and introduce the latest seasonal trends. 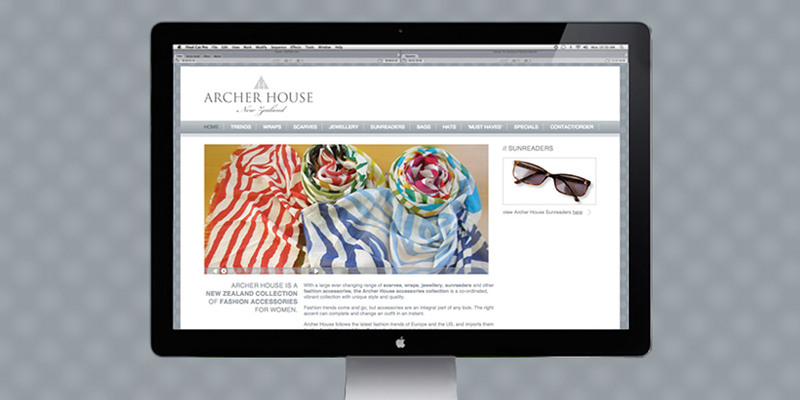 We designed and developed a website for Archer House Collections that enables them to showcase their range to retailers each season.